Software development is a process fraught with pitfalls. If you aren’t careful about managing a development team, even a highly-skilled team, it’s easy for your product to become vaporware. In order to ensure your project stays within budget, you’ll need to understand what factors lead to an efficient development team. Software development is a combination of science, art, and business. You’ll need to gather data and apply that data to your efforts, but you’ll also need to rely on intuition, experience, and collaboration. 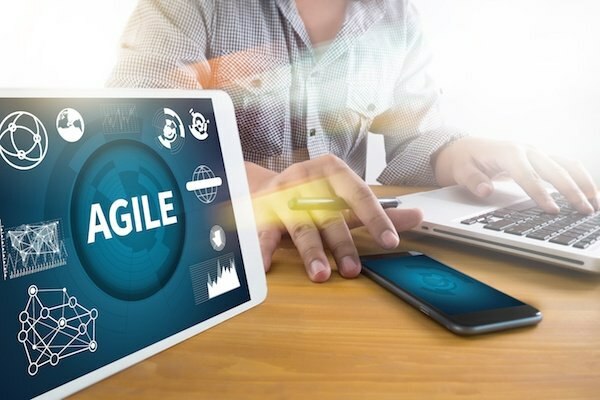 Agile software development is an approach to modern software development that focuses on delivering working software as opposed to extensive documentation. As its name may already suggest, there is an emphasis on efficiency, continual improvement, and responding to change. In Agile development, teams self-organize, self-direct, and work to reach deliverables. They are quick to report problems and adapt to changes. Product owners make sure that the software delivers what it needs to for clients and customers, keeping in constant contact and maintaining harmony with the development team, managers, and clients. Simplicity, the art of maximizing the amount of work not done, is another key tenet of Agile development. Agile development does not mean rushing to the end. In order for the software product to be successful, teams must be able to learn, research, and implement in equal measure. This means a methodical, results-driven environment is needed. The most important aspects of Agile software development are continuous improvement, transparency, and inspection. This means that developers and business people need to see each other face-to-face on a near daily basis. These daily meetings are structured around sprints. Each sprint is typically around thirty days but this varies from team to team. Frequent face-to-face meetings make it so that everyone on the team knows what's going on. The proliferation of distributed teams has tweaked these processes somewhat. Face to face meetings may be replaced with video conferencing, for example. The important part is that the team is in constant communication and is responding to change as quickly as possible. The biggest mistake is not to deviate from the original plan, but to ignore what's going on and to ignore change. Ultimately, the software product needs to satisfy the wishes of the customer or the client. Clinging to old project requirements will only harm the agility of the development process. Project managers have to be aware of what their development team is capable of and what they must do away with in terms of software requirements. The entire team needs to be on the lookout for areas of improvement. there are always ways to reduce work, improve productivity, and increase visibility. It’s up to the entire team, not just the product owner or development manager, to find these areas of improvement and address them as soon as possible. All of the principles listed above support the idea that working software is the only measure of real success during the development process. The delivery of working software is the key indicator of real progress. So, in these development environments, the team is constantly building, delivering, and improving upon the product. There are many ways to reach your software development goals. Increasing your agility is one of the best ways to ensure that your project is done on time and within budget. An even greater benefit of Agile software development is that often the software products created within these environments are of a higher quality and are user-optimized. Apply Agile development principles to your existing processes and you’ll likely see a host of benefits spanning from development to production.